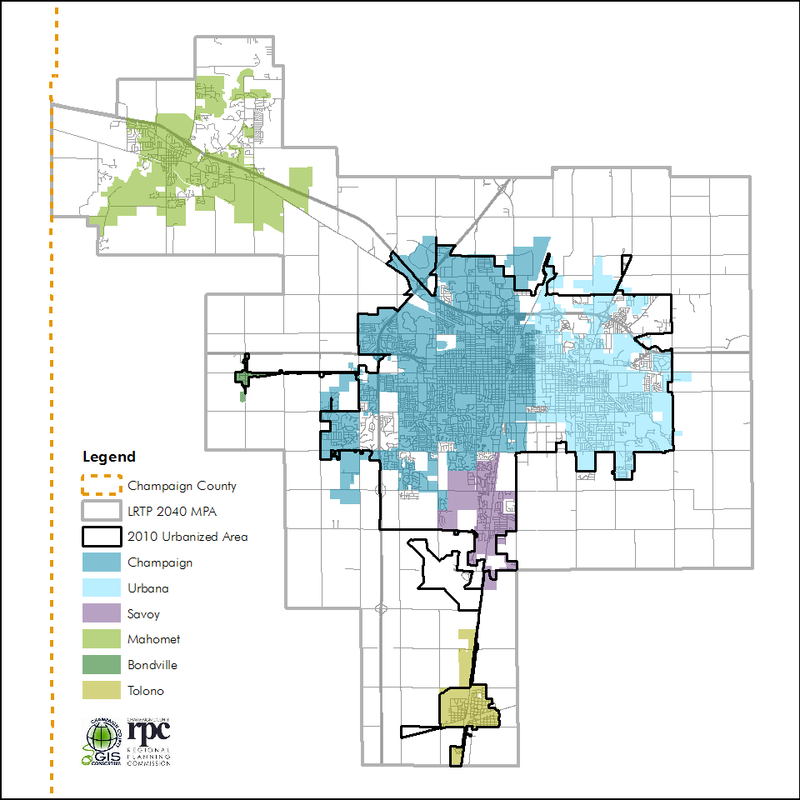 The Champaign Urbana Urbanized Area Transportation Study (CUUATS) is the transportation entity of the Regional Planning Commission. 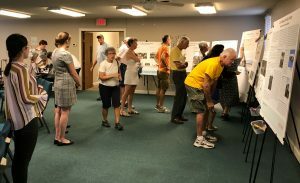 It is the Metropolitan Planning Organization responsible for administering the federally mandated transportation planning process for the Champaign-Urbana-Savoy-Bondville-Tolono urbanized area. Our mission is to coordinate metropolitan transportation planning with the Illinois Department of Transportation, Champaign County, the Cities of Champaign and Urbana, Village of Savoy, University of Illinois, the Champaign-Urbana Mass Transit District, and the general public; and to coordinate the use of federal transportation funds within the Champaign-Urbana-Savoy-Bondville-Tolono urbanized area. CUUATS has a leading role in promoting inter-agency cooperation and ensuring consistency between planning efforts. CUUATS is also responsible for the promotion of transportation systems. These systems embrace a variety of modes in a manner that efficiently maximizes the mobility of people and goods with minimal energy consumption, pollution, and social impacts. The Champaign-Urbana-Savoy-Bondville-Tolono urbanized area covers approximately 47 square miles. The Urbanized Area Boundary is determined by the U.S. Census Bureau every 10 years in conjunction with the decennial census. It defines an area with a population of 50,000 or more that is considered currently urban in character. This boundary does not necessarily follow corporate limits. The Metropolitan Planning Boundary must cover at least the existing urbanized area and the contiguous area expected to become urbanized during the Long Range Transportation Plan 20-year forecast period. This boundary is used to determine what projects are to be included in the Transportation Improvement Program. This boundary is agreed upon by the Long Range Transportation Plan Steering Committee every five years during the LRTP planning process. It is approved by the CUUATS Technical and Policy Committees. The Policy Committee consists of local elected and appointed officials of those agencies with a primary interest in transportation. This committee assumes the decision-making authority for CUUATS and establishes policies that guide and form the transportation planning process. The Technical Committee consists of representatives from the CUUATS member agencies. Its purpose is to provide technical assistance and training in various planning elements that comprise the transportation planning process.